Introduction LOOKING FOR A JOB IN MADARAO? We are hiring for the 2018/2019! Active Life Group currently owns and manages 5 hotels in Madarao Ski Resort; Active Life Madarao hotel, Hakken, Xplore, Wander and Space by Active Life hotel. 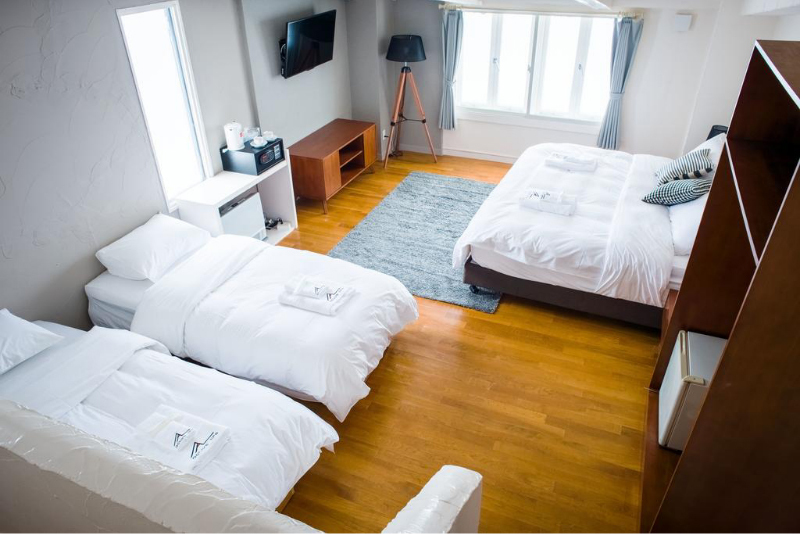 Located Northwest of Tokyo in the Nagano Prefecture and accessible directly from Tokyo on a 1 hour and 50 minute comfortable bullet train ride. 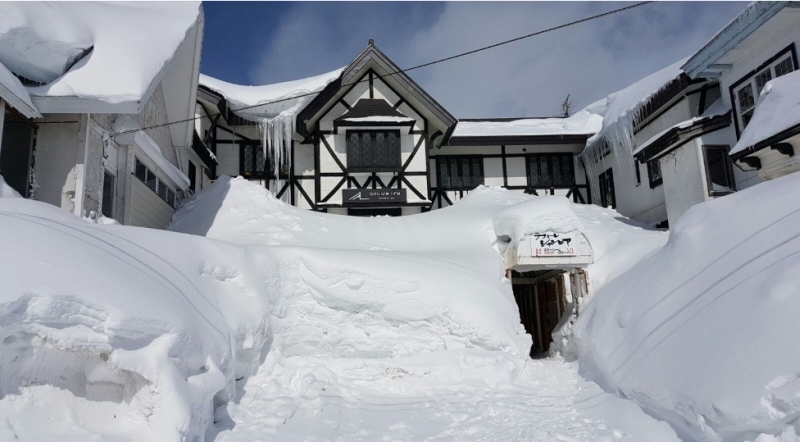 Madarao is one of the fastest growing international alpine resorts in Japan with most international guests coming from Australia, Hong Kong, Singapore, Thailand, China, New Zealand and the UK. The team at Active Life combine hard work with great fun to give our staff a unique travel experience, lifestyle and working holiday unlike anywhere else in the world. If you have a strong work commitment and a can-do attitude, get in touch and apply with us! Please visit www.beactive.life or send your applications to activelife.applications@beactive.life. Tell us about yourself and tell us which team/s you see yourself working in! Join our Bar & Ramen team for some fun filled evenings as you prepare beverages, serve food and help our patrons unwind after a good day on the snow. You must be a fun and outgoing, hard working and have a strong focus on customer service. Previous bar experience desirable but not essential. It starts with coffee! Your job is to ensure everyone starts their mornings off with that perfect cup of caffeine before hitting the slopes, and eases into a relaxing evening with that delicious blend. Excellent customer service skills is a must and previous barister experience required. Show off your knife skills in our restaurant. Your role will and can include food preparation and cooking, plating, presentation all while ensuring consistent delivery of quality and maintaining a well organised, clean, safe and hygienic work area. Maintaining and ordering stocks and supplies. Setting up and closing down the kitchen. If you are creative and passionate about food, have a positive attitude and ability to thrive under pressure, are self motivated and can work well unsupervised and lead a supportive team, apply with us now. Experience in similar role essential. Create a welcoming environment and atmosphere for our hotel guests by ensuring the hotel all guest rooms and common areas are well presented throughout the season. Must be reliable, have strong organisational skills, integrity and honesty, and high energy levels. Make that first impression count! You will be the front facing team with strong customer service skills and a focus on excellent communication, a can do attitude and a willingness to always please. Join our professional Restaurant and kitchen team in the mornings and evenings as you serve meals and drinks to our patrons. Don’t break a sweat. You must be able to work well under pressure and have a strong desire to ensure customer satisfaction. Service experience desirable but not essential. The Active Life Snow Club (ALSC) is looking for both female and male instructors between approximately mid to late December 2018 and early February 2019. Fluent English is mandatory while the ability to teach in a second language (particularly in Mandarin, Cantonese, Thai, Japanese) is highly beneficial. Our lessons are available exclusively for some of our guests and offered daily for kids and adults. You must possess a minimum level 1 certification within the internationally governed (ISIA) system. We are looking for people who are highly safety conscious, have a sense of humour and possess a high level of emotional intelligence, integrity and attention to detail. Love working with your hands? Join our snow gear rentals team where you will s ervice customer’s skis and snowboards (prepare them for their time on the mountain), mount bindings on any new skis and snowboards purchased by Active Life. You must be able to perform tasks such as base cleaning, repairing damage to bases including p-tex base (using p-tex gun/patching/epoxy), sharpen edges on ski’s and snowboards for free style and more traditional disciplines, detuning tips and tails (in the quest for a great “set-up”), waxing bases (hot wax, either using an iron or workshop machines , brushing, polishing and preparation of skis and boards. You will be an outgoing, fun and customer oriented with repair and servicing knowledge for both skis and snowboards. Enjoy a peaceful drive with picture perfect mountain views? Join our transfer driving crew picking up and dropping off guests to and from our hotels and between resorts. Must hold valid driver licence and international driver licence. Forklift, light, medium and heavy vehicle driver licence desirable but not essential. Our staff accommodation is FREE*! We offer shared rooms, with upgrades where available during quiet periods in the season. Varies depending on your position. You will work, rest and play! Active Life adopts the Workaway program where we exchange your first few hours of work for your bed and board. Any additional hours you work will be paid. Workaway hours and pay vary depending on your position. * Once your weekly workaway hours have been met, staff meals and accommodation will be paid for by Active Life. Please note, workaway hours will vary across each team and will be confirmed prior to commencement.